We’re a collaborative enterprise of pioneering scientists, engineers, designers and entrepreneurs at the forefront of the global transition to sustainable energy. Our passion drives us to design and commercialise the world’s smartest and most efficient solar solutions, harnessing the fastest-growing source of new energy on the planet to address the enormous global demand for heating and cooling buildings. Access to sustainable energy for all is crucial for the wellbeing of the planet and all its inhabitants. We believe that profit and sustainability are not mutually exclusive. To make a difference to the environment, to create a cleaner and more sustainable world for future generations. Design and deploy solar solutions around the world transforming real estate into valuable, sustainable power stations. We design, innovate and build the world’s most energy and space efficient solar solutions, combining proven technologies. Prior to founding Naked Energy, Christophe has been connected to the renewable energy industry for generations. His first inspiration was his grandfather Peter Williams who worked with Stephen Salter in the 1970s to develop 'the oscillating duck', a form of oscillating wave technology generating clean electricity. He previously worked as a senior creative executive in the advertising industry for over fifteen years, gaining many awards from prestigious organisations such as ‘Creative Circle’ and ‘Clio’ - even a Guinness Book Of World Record. He has worked with major blue-chip clients and global brands such as Microsoft, Barclays, BMW, Sony and also directly with a number of UK government bodies, including DEFRA and the Central Office of Information on high profile advertising campaigns on sustainability. Technologist, engineering director and entrepreneur, specialising in micro and nanotechnologies, with a Chemistry DPhil from Oxford University. 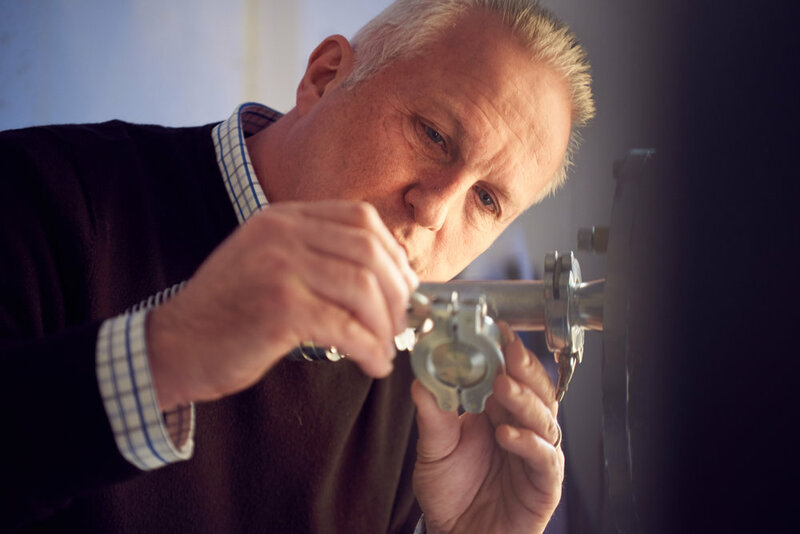 Adrian has 20 years’ experience in industrial research and product development. He previously worked at Oxford Instruments and then as Engineering Director at Applied Materials, the global market leader in semiconductor processing equipment, where he managed a team of 80 engineers. Since 2008 he has worked with technology start-ups in the areas of nanotechnology and renewable energy. He joined Naked Energy in 2014 and leads on all aspects of R&D and engineering. Nick qualified as a Chartered Accountant in 1992 with Arthur Andersen, working as an Audit & Business Advisory Manager in Geneva and London before taking up the role of Business Development Manager at Lord Andrew Lloyd Webber’s Really Useful Group. Nick then joined Yahoo! as its first European Finance Director, successfully launching in 9 countries and building the business from start-up to $100m turnover in four years. He has worked with several other high growth companies and has held senior finance positions at international corporates: Warner Music, Opodo, Carphone Warehouse, Constellium and DDB.